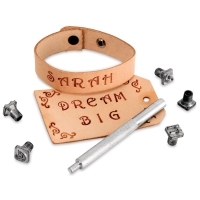 Create personalized jewelry, wallets, and other leather goods with Leather Tooling Sets. 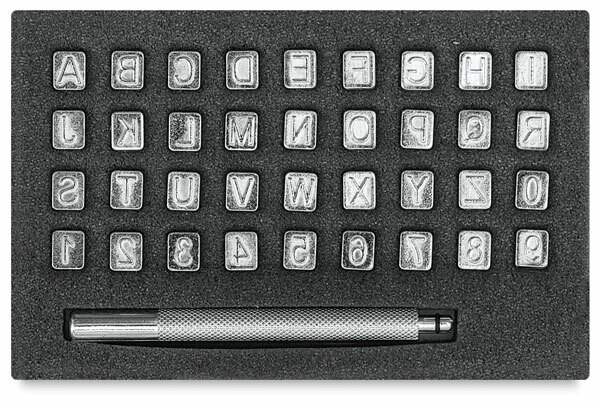 Each set includes interchangeable die-cast stamps that snap onto sturdy handles (included). 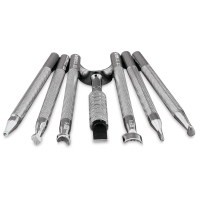 All tools are chrome plated, quality constructed, and designed for all skill levels. 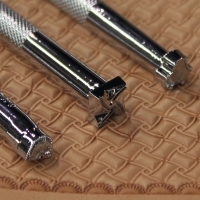 Press the stamps into leather with a mallet or maul (not included). 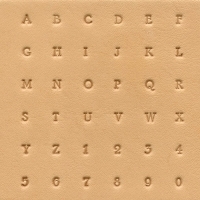 Basics of Tooling Set — This introduction to leather tooling includes a 20-page step-by-step instructional booklet with patterns and design ideas, a swivel knife with a blade, and six basic stamps, including camouflage, pear shader, beveler, veiner, seeder, and backgrounder. 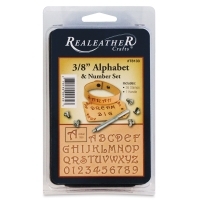 1/4" Alphabet and Number Set — This set includes 36 stamps and one handle. 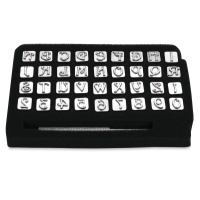 1/8" Alphabet and Number Set — This set includes 36, 1/8" alphabet and number stamps, perfect for small projects and tiny spaces. 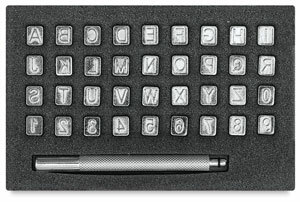 3/8" Alphabet and Number Set — This set includes 36, 3/8" alphabet and number stamps and a handle. 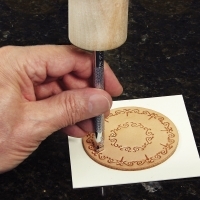 Craft Fun Stamp Set — This set includes 8 stamps and one handle. 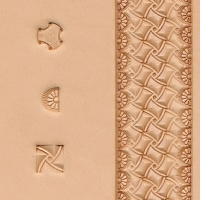 Indian Lore Set — This set includes 8 stamps and one handle. Geometric Stamp Set — This set includes full-size stamping tools for two geometric designs and a border tool, plus step-by-step instructions and design ideas. 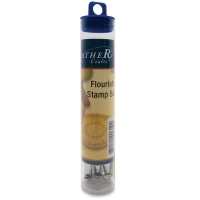 Flourish Stamp Set — This set includes three full-size stamping tools, step-by-step instructions, and design ideas.